averybethdesigns: excited for mortal instruments movie!! excited for mortal instruments movie!! 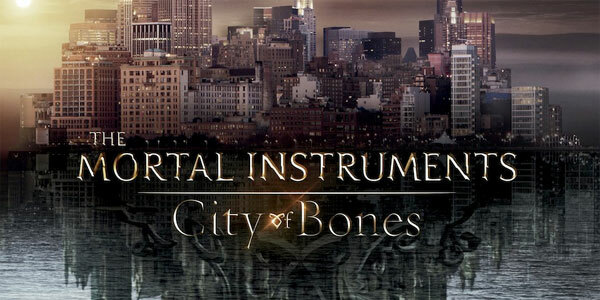 i was able to get a copy of the mortal instruments, city of bones book through crowdtap.com as a part of a hosted party in anticipation of the upcoming movie release. i had already read the book a long while back (i've read ALL of them, including the infernal devices series), but had wanted to re-cap since it had been so long. i am SO excited about the upcoming movie!! anyway, i was selected to host a party to discuss the upcoming movie and the book. so, i gathered a few friends and family together and we talked about which parts of the book we were excited to have up on the big screen!! personally, i am interested in how they portray the relationship between Jace and Clary. it is one of those relationships that obviously makes you uncomfortable while reading, and yet you (at least i did) find yourself rooting for them! so strange. after some spaghetti and other tasty treats, we talked about casting for the characters and any expectations we had based on our own visuals. again, i did not expect jace to look as they cast him for the movie. i don't find the guy attractive at all. and clary is a bit ho-hum for me too. oh well. at least they did well with valentine!!! woohoo! i love j.r.m. overall, regardless of what we had expected, we agreed we were all excited to see the movie and how it came to life on the big screen! i am more a fan of the infernal devices characters, but the author's humor throughout both series is wonderful and a little dark and just fantastic. i hope it comes across in the movie too. any favorite scenes from the book you are hoping to see? have you read the series? magnus is a favorite of mine...how about you?